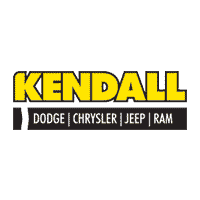 Do you have a question or comment for our experts at Kendall DCJR of Soldotna? Fill out our form above and we will get in contact with you as soon as possible. In the meantime, take a look at our lineup of new Chrysler, Jeep, Dodge, and RAM models for detailed information regarding each model to help in the car buying decision. We look forward to working with you soon at our Soldotna, AK Dodge dealership! Your feedback is what helps us fine-tune our customer support and maintain our reputation for excellent and efficient service. We’d love to hear any questions, comments, or concerns you have about our Kendall DCJR of Soldotna dealership. We love Soldotna and strive to be a beneficial resource of quality new and affordable used cars for sale in our beloved community. If you need help with any aspect of the buying process or need help with Dodge service, please don’t hesitate to ask us. Our customer service representatives will be happy to assist you in any way. We want to make sure your car, truck, or SUV stays on the road for years to come, or you can finance a replacement if you’re ready. This is why we offer a variety of Dodge services, including Dodge finance, Jeep parts, and much more. Our Finance Department can help secure an auto loan for any budget and specializes in bad credit car loans. We’d love to take care of every vehicle from a Ram 1500 to a Jeep Cherokee to anything else on the road.